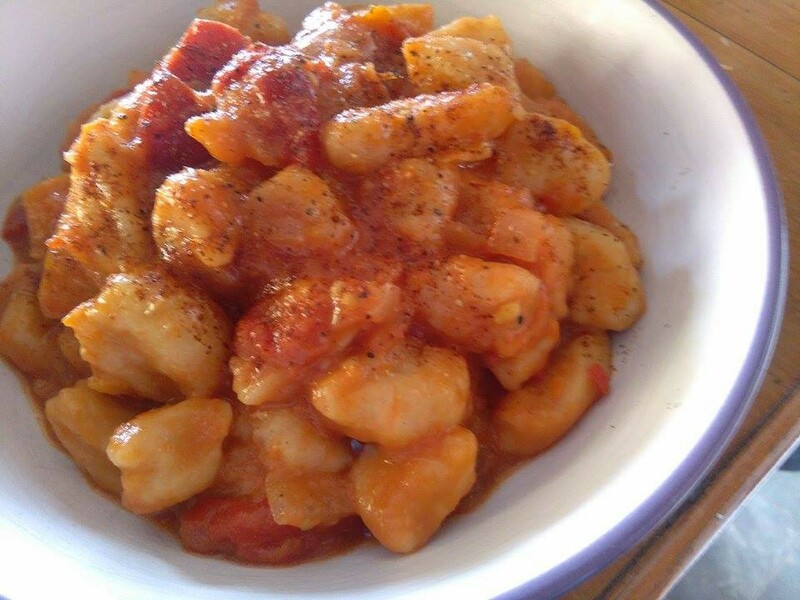 Gnocchi are typical Italian vegan recipe, very versatile, simple and yet so delicious. They are usually made with a dough created by mixing boiled potatoes and white flour, however this recipe is a bit of a twist compared to the traditional vegan recipe. I wanted to create something more proteic and nutritious, and at the same time also gluten free (other than vegan, of course). So I am suggesting this delicious chickpea based gnocchi, with the sweetness of carrots and a tasty red peppers creamy sauce to go with it. The consistency of these vegan chickpeas gnocchi will be more tender than the traditional gnocchi recipe, so I reccomend don’t overcooking them. A further twist can be created by baking them for extra 10 minutes in the oven (after cooking them in hot water), with some melted vegan cheese. add the soy milk or soy cream and keep cooking until a creamy consistency is achieved. 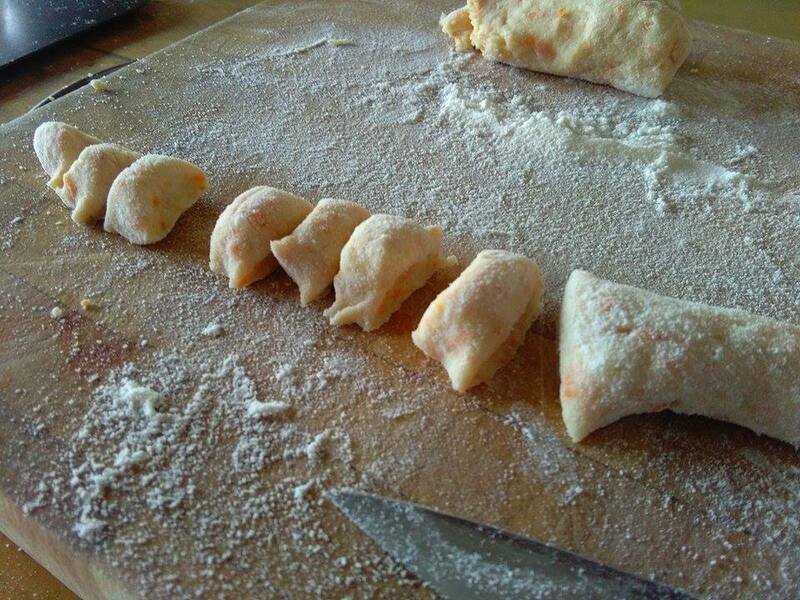 Now it's time to prepare some gnocchi! Make sure you have a nice and clean working space (a wood board or table will be perfect) and let's get rolling! once cooked, drain and use a food processor to mix the dough and season. 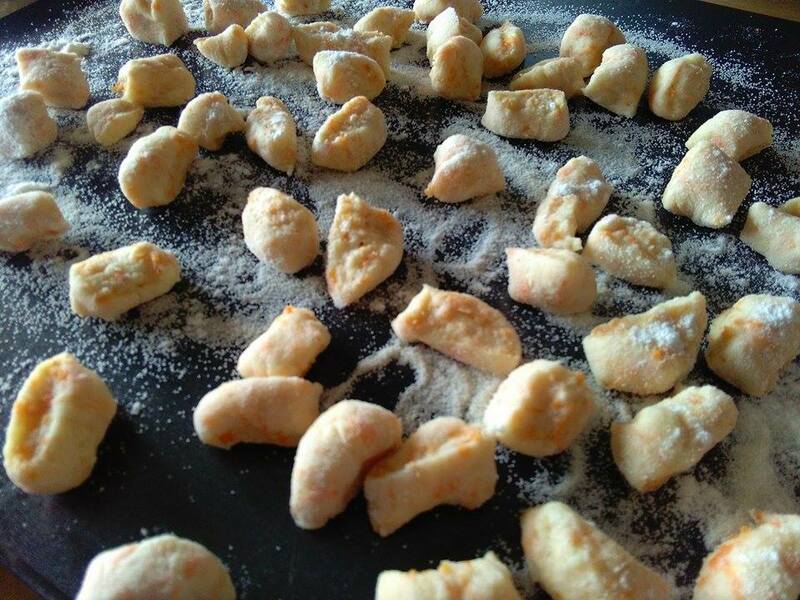 Once the gnocchi will raise to the surface of the boiling water, this will mean that they are cooked! Thank you Katrina! I adore gnocchi of any kind hehe!